Dr. Talcott is currently a professor of toxicology in the Department of Integrative Physiology and Neuroscience at Washington State University College of Veterinary Medicine. She completed her DVM from Washington State University, a MS and PhD from the University of Idaho and the University of Idaho/Washington State University combined program in pharmacology and toxicology. She received her Diplomate status in the American Board of Veterinary Toxicology (ABVT) in 1992. Dr. Talcott has served as the veterinary diagnostic toxicologist and toxicology section head for the Washington Animal Disease Diagnostic Laboratory and the Analytical Sciences Laboratory since 1990. She teaches clinical and diagnostic toxicology to the second year students as course director of a 3-credit toxicology course, and to fourth year students rotating in the Diagnostic Rotation. Dr. Talcott is co-editor of Small Animal Toxicology, Third Edition and speaks at many local, regional and national meetings. She has received many teaching awards, including a four time recipient of the Norden/Zoetis Distinguished Veterinary Teacher award. She has served as Secretary/Treasurer, Vice-President, and President of the American Board of Veterinary Toxicology. 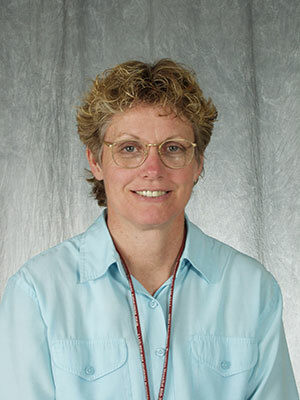 Dr. Talcott also serves as the Director of Admissions at WSU College of Veterinary Medicine. This is a clinical review of some common and uncommon items that companion animals ingest that can lead to toxicities. There are many items inside the house and around the home that pets ingest, that we think - why?? And some of these can be pretty toxic and even deadly. Cases will be used to highlight exposure scenarios, clinical signs, treatment options, and diagnostic tools one can used to confirm toxic exposures.